I have been working with BOC since it was named SAP Cloud for Analytics and the product itself has changed a lot. One of the most important features are the different types of connections you can created in order to load data into SAP BOC. It started only with a few types SAP HANA, SAP BW, SAP BPC, etc. and right now we have some interesting possibilities such as MS SQL Server, Google BigQuery, Salesforce Connector, etc. 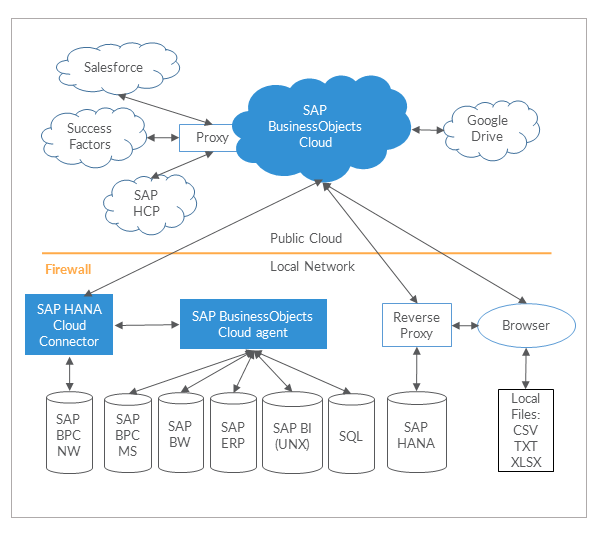 I received some questions about how to connect SAP BOC to the different data sources on both Cloud or On-premise architecture so I hope this post clarifies the possible options. Cloud Systems: Any application or system that is publish on the Internet by a Cloud Provider or Software provider. In this case in the diagram appears some applications as Salesforce, SuccessFactors, SAP HCP, etc. If you have an SAP system running on a Cloud provider such as AWS or Azure it won’t be included on this category. SaaS and PaaS models are here. On-premise Systems: Application or systems running on a private network. With private network I mean from real On-premise systems to the ones that run on Cloud providers as AWS, MS Azure, etc. IaaS is included here. Cloud Systems: You won’t need additional software or systems in order to connect SAP BOC. On-premise Systems: You will need additional software in order to connect SAP BOC. 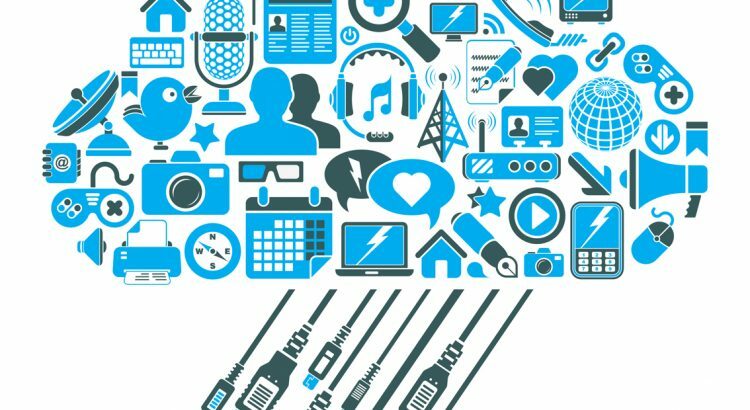 This software depends on the connection you want to create. I will focus on the software needed for connecting SAP BOC to On-premise systems. We will use an Apache or Web Dispatcher working as reverse proxy if we want to connect to create a Live Connection to SAP HANA or SAP BW. The full configuration can be found here but I strongly recommend to check if there is a new update. You will also need a reverse proxy if you want to load a file such as TXT, CSV or XLSX. Please remember that all three options have to be running on a server in the DMZ so the best option is to install all of them on a standalone server in case you need to create several type of connections. I strongly advise against install the software on a server with a running SAP system and move the server on the DMZ. Download the new version of the SAP BO Cloud Agent from the Support Portal. You can download it on Support Packages and Patches – SAP Cloud Solutions – SAP Analytics CLoud Conn – SAP Analytics Cloud Conn 1.0 – SAP Analytics Cloud Agent 1.0. Unpack the file and copy it to the webapps directory on the Apache Tomcat. Stop the Apache Tomcat. Delete the old C4A_AGENT directory on the webapps. Start the Apache Tomcat and wait until it is deployed. Test the connection from SAP BOC again. I’m trying to find a way to know it advance when they release the new versions so I can download it and update the agent before any error message happens. Unfortunately I didn’t find anything yet so I depend on the end-users complains about connections not working in order to know when I have to update the agent. SAP, if you read this please send us a message in advance before releasing a new version! if the BPC is deployed on AWS, do we need to install the cloud connector? Can we establish a connection in SAC to BPC (on AWS)? As far as I know you also need the Cloud Connector when connecting systems from SAC to AWS. Basically because when you create the connection the SAC connects to the configured SAC Agent and then to the SAP Cloud Connector. I checked the schema showing the connection from SAC to the On-Premise systems and from my point of view is incorrect.